On October 18th the Columbia County Democratic Committee is sponsoring Blue Tsunami a massive voter rally in Hudson NY. Joining the Columbia County Committee as co-sponsors are the Democratic Committees of the five surrounding Hudson Valley counties, Albany, Dutchess, Greene, Rensselaer & Ulster. This will be a first for this area. 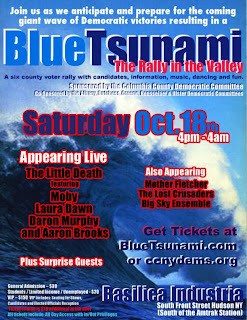 Blue Tsunami will be headlined by The Little Death which claims Moby as a member of the band. 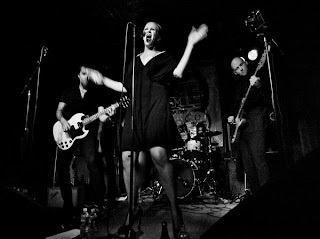 Also on the bill will be local Hudson Band, Mother Fletcher among others. Join us as we celebrate and solidify the coming giant wave of Democratic victories. A six county voter rally with candidates, information, music, dancing and fun.